Passion performances can be seen in Poland too. Good Friday. In Kalwaria Zebrzydowska they make professional performances. 100.000 people come to watch. Almost a thousand people – actors, dancers, singers and musicians – take part in tonight’s performance of the Lord’s Passion in the western city of Poznań. 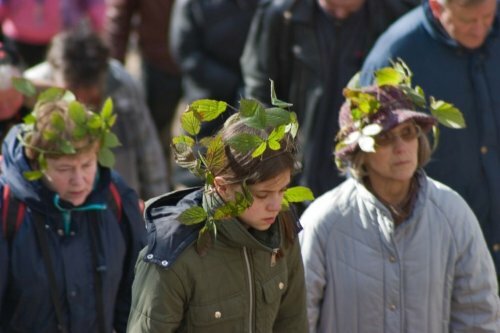 The director of the 80-minute open-air show, Artur Piotrowski, has told the Polish Press Agency that the dramatisation of the last days in the life of Christ, from his entry to Jerusalem to his death and resurrection, helps not only to probe deeply into the mystery of Christian faith but also to make a spiritual preparation to Easter. 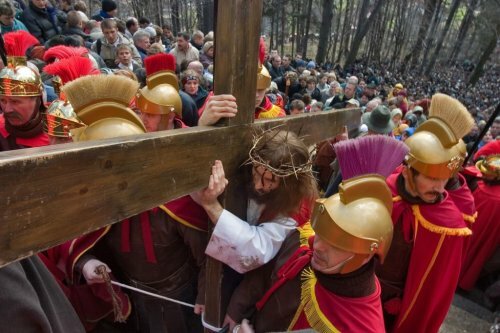 The tradition of the Passion Plays in Poznań started in 1998. The previous fourteen editions of the event have attracted over a million people, including many foreign visitors. In all of them Jesus was played by Ziemowit Howadek. This year the role has been taken over by Cezary Łapa, an engineer by profession, who had been cast as Judas in previous years. His wife and four children also appear in the performance. 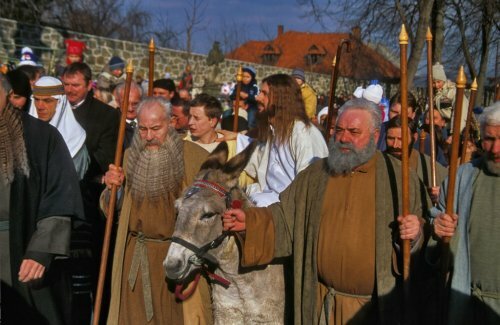 The 2016 Passion Play in Poznań is dedicated to the 1,050th anniversary of the Baptism of Poland and the Year of Mercy observed in the Roman Catholic Church.